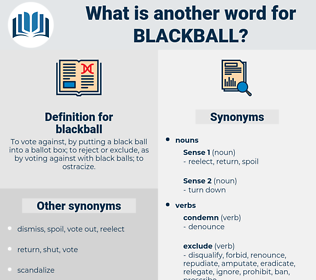 What is another word for blackball? 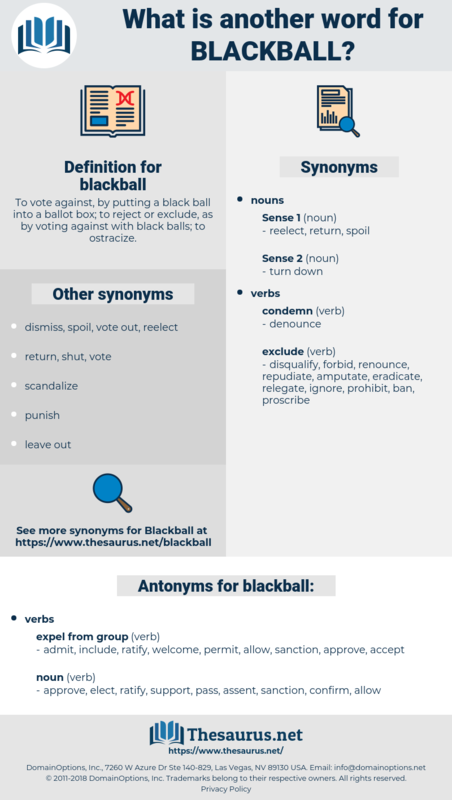 To vote against, by putting a black ball into a ballot box; to reject or exclude, as by voting against with black balls; to ostracize. admit, include, ratify, welcome, permit, allow, sanction, approve, accept. confirm, assent, support, elect, pass.